In the last installment we explored a story about a con man with many names, we’ll refer to him by his real name William Andrew Schaum. Between 1901 and 1912 Mr. Schaum created no less than six car companies. All eventually failed, total automobile production amounted to about 50 buggies over a ten year period. The companies did succeed in lining Mr. Schaum’s pockets with cash secured by gullible investors. By 1912 his fifth car company Suburban Motors was failing, in an attempt to save the investor’s assets the company was acquired by one of its creditors, R A Palmer, who reorganized the enterprise as the Palmer Motor Car Company. Three thousand dollars sat in Accounts Payable on the Suburban’s Balance Sheet owed to Palmer. The debt allow Palmer to gain control of Suburban. 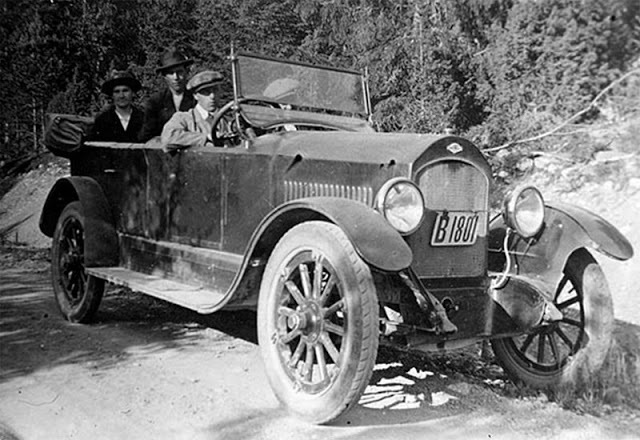 Palmer had created the Cartercar company in 1905, no longer with Cartercar, Palmer wanted to build another car company. Upon taking over the company Palmer’s first action was to finish Schaum’s partially assembled Suburban cars still sitting in the plant in order to reduce inventory and generate cash from sales. Palmer next brought in his own team of experienced car professionals, retaining A C Mason, a known automotive expert who had been largely responsible for production of the first Chevrolet and who had had a hand in the designing of various Buick powertrains. 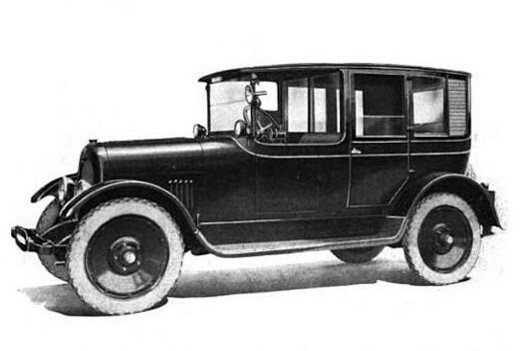 Palmer’s next action was to develop a new car, the Model 38, based on one of Schaum’s Suburban chassis. Palmer now had a real car company. 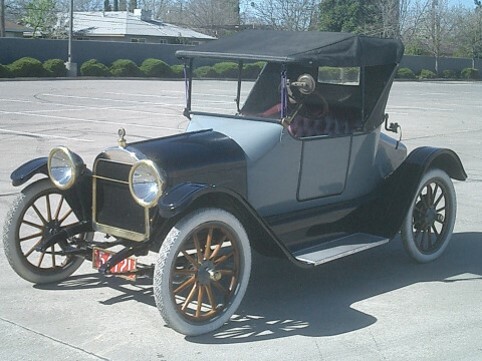 generated by the partnership allowed manufacturing to move to Chicago and between 1913 and 1915, two smaller cars were added to the product line, the Model 20 and the Model 32. 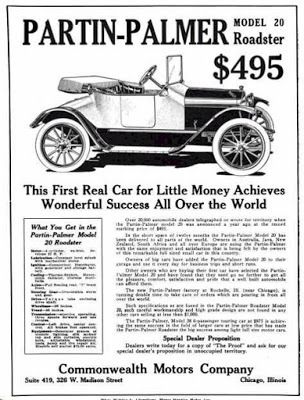 Eventually the company established 400 dealers in global sales network, primarily in the US Midwest it appeared that the car and company was headed for success and by 1915 it was well on its way. This growth required more capital. The company was recapitalized by bringing in new cash investors, but despite the infusion of money, a lawsuit initiated over a $700 past due creditor bill which pushed Partin-Palmer into receivership. 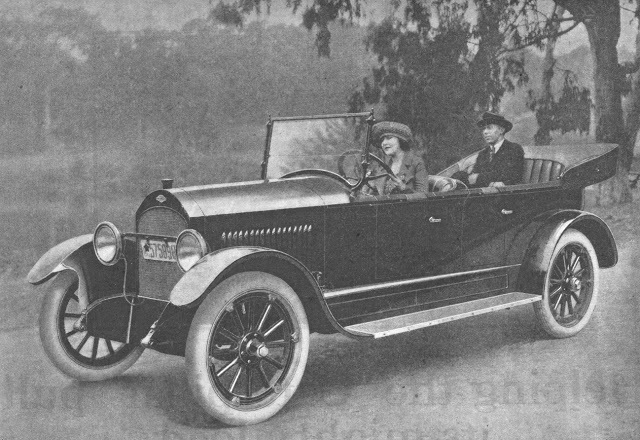 The Partin-Palmer Model 20 Roadster was offered with a four-cylinder water-cooled engine of 22 horsepower with Gray and Davis generator and optional electric starter. The roadster had a 56 inch track and 96 inch wheelbase. Standard equipment came with electric lighting, horn, speedometer, folding top with side curtains, dust boot, speedometer, tool kit and jack for US$495. Post-bankruptcy a new company with a new name was created: The Commonwealth Motor Company. As it was created, the old leadership team exited and Charles Darnell, the former sales manager was elevated to President. His first task was to save the 400-dealer sales network. Thankfully, no dealers were lost! Darnell’s second focus was to produce 800 cars to insure the dealer network had something to sell. Upon the creation of the new company, another $100,000 was secured, and with more funds in the bank, Darnell closed a deal with The George D. Whitcomb Company of Rochelle, Illinois to produce the automobiles. Whitcomb became Vice President of Commonwealth. Production was moved to Rochelle and continued into 1916 with the Model 20 and the Model 32, the Model 38 being discontinued. However, on the horizon was a new model, the Ultra-Four, a higher-end sports model. 1917 was another big year, as the factory was moved to Jolliet, Illinois. 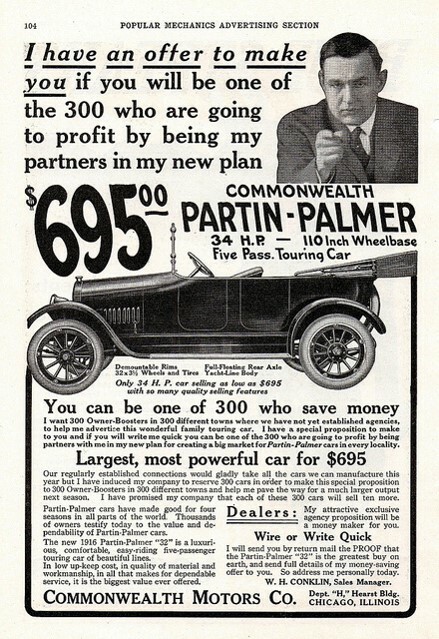 The name Palmer-Partin was dropped and all cars were now badged as Commonwealth. Darnell needed to differentiate the new cars from the hundreds of other automobiles sold in the US, so a new slogan was developed; “The Commonwealth, the car with the foundation.” This slogan and the associated build concept would in essence establish the Checker for years to come. 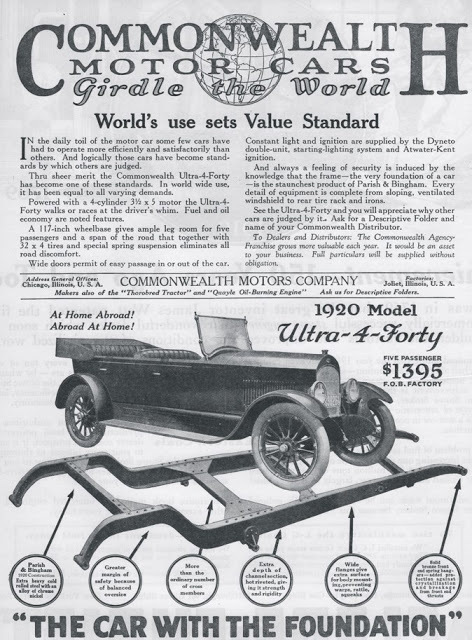 The 1917 Commonwealth was essentially a modified version of the Palmer-Partin Model 32, but it was designed in a manner consistent with the slogan, with a heavy duty chrome nickel alloy steel frame, the top of which was layered with thick felt in order to reduce body squeaks and rattles. The resulting platform would be highly desirable for taxicab operators. In 1918 The Model 20 roadster was dropped and the Model 32 was joined the following year by the Victory Six. In 1920, the Ultra-Four was introduced, it was the old Palmer-Partin Model 32 with a long wheelbase and a Lycoming power plant. But in 1920 Commonwealth was again in financial trouble and required an increase in capitalization. 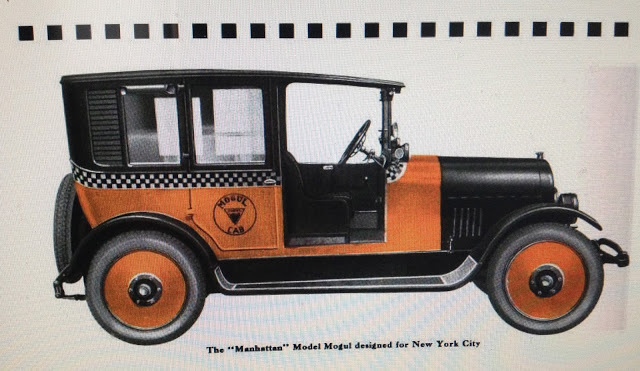 $6m – a lot of money in 1920 was secured and a major sale was closed between Commonwealth and a new taxicab syndicate of Chicago, the Checker Cab Company, to produce new taxicabs. The resulting cab was called the Commonwealth Mogul Taxicab. The cab was developed utilizing the Ultra-Four chassis and front clip mated to a wood taxicab body. The body was produced by several body manufacturers, one was a company based out of Jolliet, Illinois, the Lomberg Body Company. Final assembly of the Taxicabs were completed by Commonwealth in Jolliet then driven to Chicago for their entry into the Taxicab trade. In an up coming blog, we’ll see how Morris Markin was able to take over Commonwealth to create the Checker Cab Manufacturing Company.